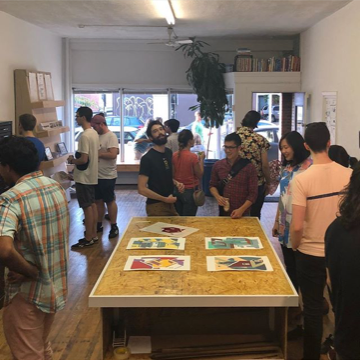 PULLPROOF Studio is a shared workspace with a fully equipped silkscreen printing facility and small storefront gallery at 5112 Penn Avenue in the Garfield neighborhood of Pittsburgh, Pennsylvania. 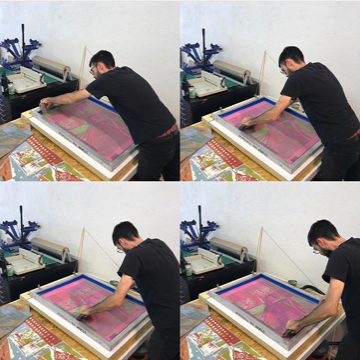 Our mission is to provide affordable access to silkscreen printing equipment, space, and time to artists in the Western Pennsylvania area. PULLPROOF Studio is currently seeking new members to share our work space. In addition to 24/7 studio access, perks of membership include storage for supplies and prints and opportunities to exhibit work at First Friday. Subscribe to our e-mail newsletter to receive updates about our progress, upcoming events, and more! Thank you, you are now subscribed to our e-mail list!